If you've taken a peek into our Fitness Coaching office lately, you may have noticed a pretty pitcher of water with lots of colorful fruits! This is the healthy way to flavor your water and likely the best way to get you to drink more of it! 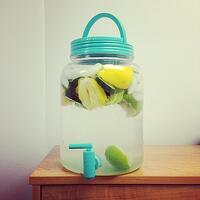 Infusing your water with fruit is easy, nutritious and refreshing. Use any fresh fruit (except bananas - they don't work well! ), herbs, and spices to turn your once plain water into a delicious, flavored and refreshing drink. 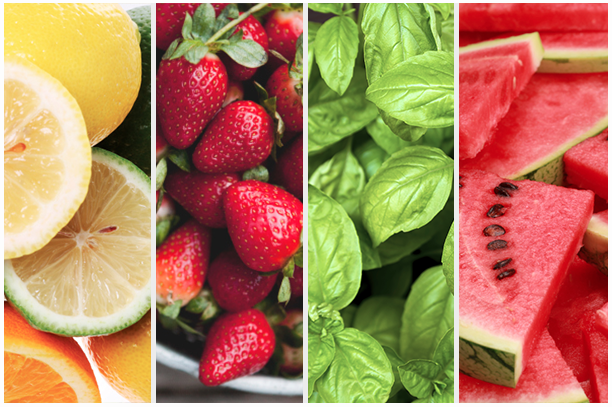 Here are some recipes to help you get started! Directions You can do this with any amount of water or any kind of container, you will just want to adjust the ingredients to taste based on the amount of water you use. After you choose your fruits and/or herbs, muddle them (mash) on the bottom to release some of the fresh fruit juice. Fill with water and give it a taste! You can add some agave (stir until dissolved) or another natural sweetener if you desire. Enjoy it as-is or refrigerate overnight for maximum flavor! 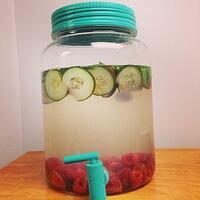 What would you put in homemade fruit water? Share your favorite recipe or combinations as a comment below and our trainers just might give it a whirl!